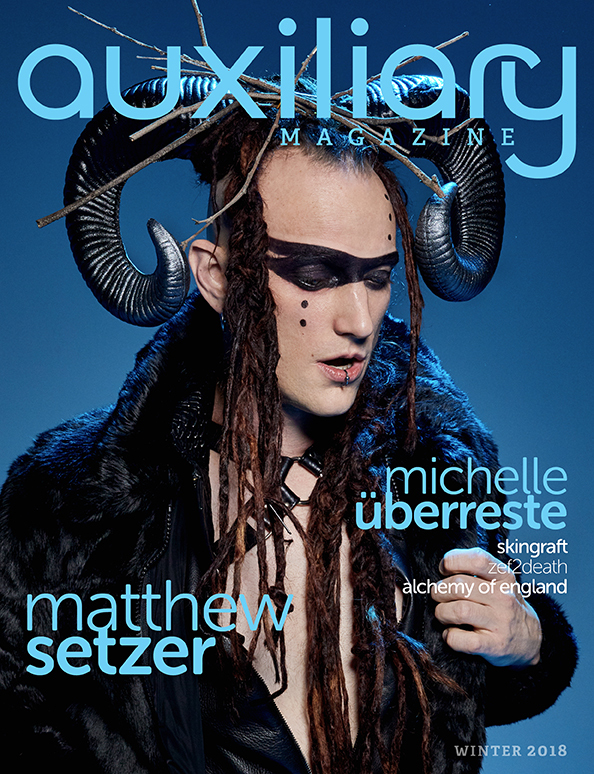 Less than one week left to get your print or digital subscription through our Kickstarter! After five years of publishing online editions with print on demand we want to switch to print runs so we can offer print and digital subscriptions. 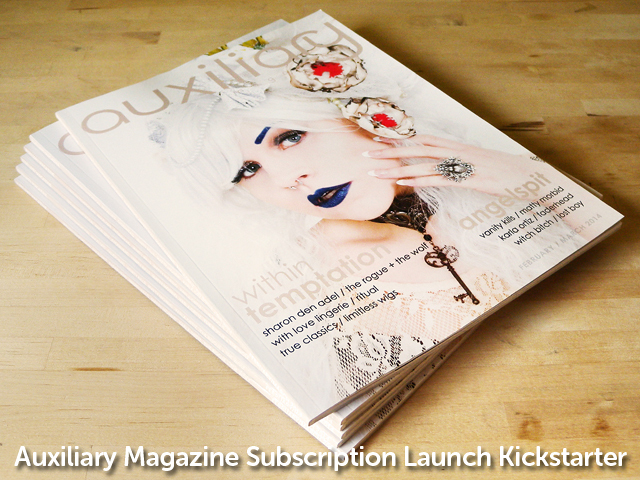 We have chosen Kickstarter to pre-sell subscriptions to gather up the funds we need for our first three print runs. Over the first three weeks of our campaign we have added many updates! Check them out to get a Reclaim Goth, Punk, Industrial, Cybergoth, Steampunk, or Grave Wave banner to share. We posted what people are saying about our Kickstarter on social media. We shared some behind the scenes photos of our June/July 2014 swimwear editorial. View all the behind the scenes photos with our Kickstarter Update. We posted some media coverage of our Kickstarter and some of the feedback we’ve been getting. We did a mini photoshoot with the prototype of the first Auxiliary Magazine T-Shirt from our Reclaim Collection. Photographed by Jennifer Link and modeled by Erin Moser with hair by Erin Moser and makeup Chelsey Merrill. View all the photos from our Reclaim T-Shirt Photoshoot with our Kickstarter Update. Get all the details, watch the video, check out our rewards packages, subscribe, and help spread the word! 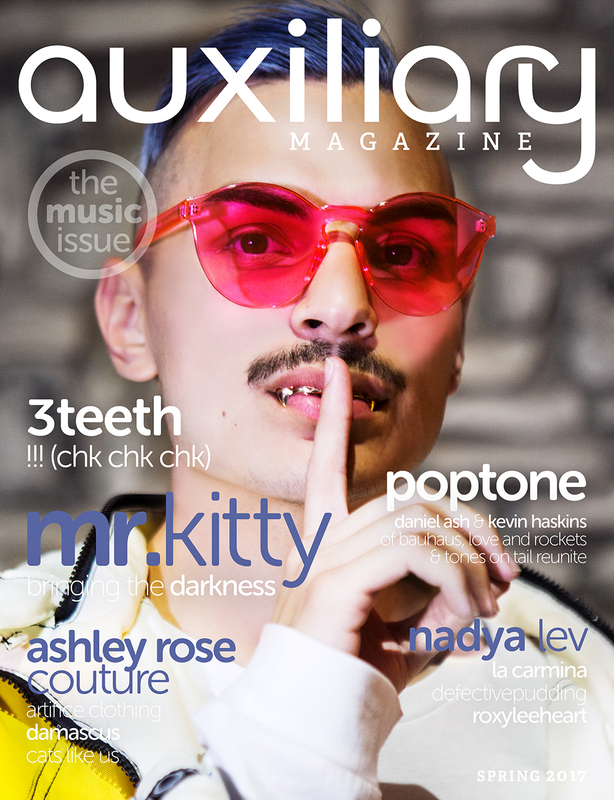 The Spring 2017 Issue is our annual Music Issue and features Mr.Kitty, Daniel Ash, Kevin Haskins, 3teeth, !! !, Nadya Lev, and more!